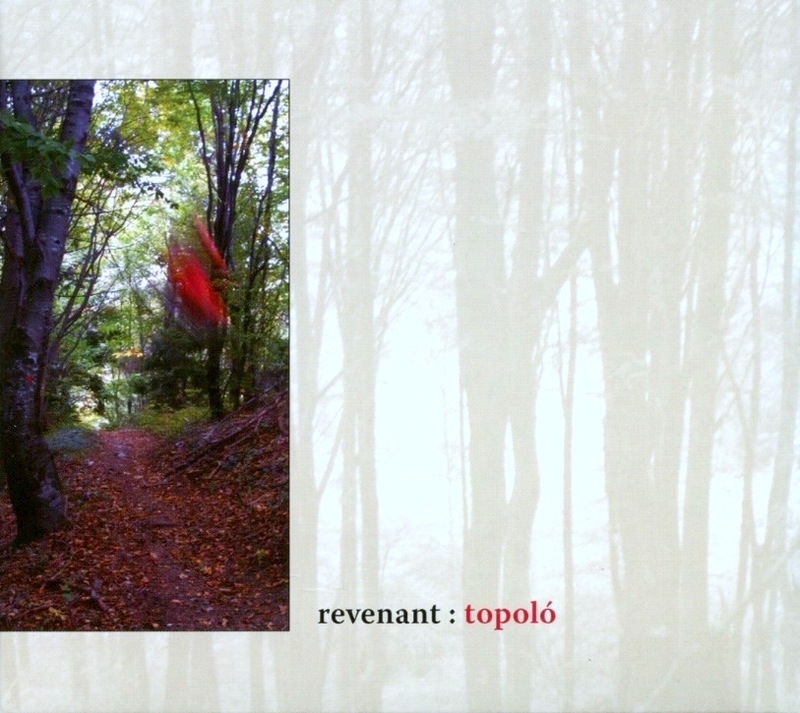 all sounds from revenant:topoló originated from materials found in-situ, or from the space itself. no overdubbing or editing was done in order to document this specific action and location in time. revenant is an ongoing project with open membership that focuses on site-specific acoustic actions, or activated environments. each action is a document of a specific moment in time in a specific location. This seemed to be what i was looking for – our activities have created powerful connections to specific spaces, and our documents have been testimonies, not only to what we have taken from these spaces in the form of memories and experiences, but to what we have left behind. These spaces retain the traces of our gestures, of the materials we have made to resonate, of the energy and attention we have given there. This is what makes these documents powerful – they are a window into these spaces; they are documents not only of these moments in time, but of this spatial memory. They, in some way, *are* these spaces’ memories. On the back cover of this release we read: “‘Revenant’ is an ongoing project with open membership that focuses on site-specific acoustic actions, or activated environments. Each action is a document of a specific moment in time in a specific location.” For an action held in 2006 in Topoló, near the Slovenien border, present were Yannick Dauby, Olivier Feraud, John Grzinich, Hitoshi Kojo and Patrick McGinley. The five of them went out into the forest and ‘all sounds […] originated from materials found in-situ, or from the space itself. No overdubbing or editing was done in order to document this specific action and location in time’. There is an interesting booklet that goes with this with interesting texts, also with photos of the five artists in the forest. It is not told how this was recorded but we hear lots of trees, branches, leaves being rubbed, cracked, hit and touched upon. Maybe this was recorded by each individual player and then pieced together, or perhaps a great microphone was set up and then it was recorded. If ever did a walk in the forest, then the sounds used by Revenant may sound familiar (and if you didn’t, I suggest you go out do a forest trip right away), but in the opening piece it also sounds like a violin, or two, being scraped. I can’t imagine that was in-situ, but perhaps some rubbing of leaves could be similar. I thought this was quite a fascinating release of familiar sounds, but oddly enough also the absence of sounds, such a birds. A fine work of field recordings mixed with acoustic action, or rather an action outside using natural elements. A work that by passes the usual routine of both field recordings and electro-acoustic music, and such opens new roads.